This Wine is For Jenga | Life Is Fine! Fine As Wine! Dinner is done, the sorbet has been savored, but nobody is leaving the table any time soon. Conversation, like this wine, is flowing, and the evening sparkles as sweetly. Upon the suggestion of a game, the tower appears, standing solidly in its central place, strong and impenetrable like the friendships surrounding it. This wine inspires some to take risks they would never otherwise consider; a brazen assault on the foundation, perhaps, or a selection from the player’s far side. 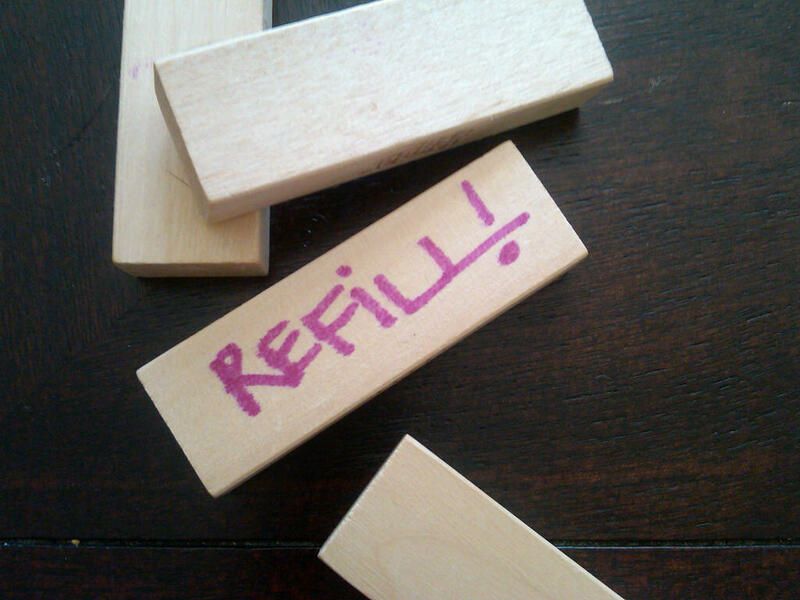 For others, it calms their overworked nerves; a confident acknowledgement that in Jenga, as in life, things fall apart. For all, it moves the healthy competition along to its foregone conclusion. As the tower topples, the room becomes bright and warm, the smiles grow wider, the laughter louder, and the contented world enjoys its wobble. This entry was posted in $10 - $20, Riesling, Washington by thiswineisfine. Bookmark the permalink.